Then continue to the oldest national park in Alaska: Sitka National Historical Park. You'll be amazed as you stroll among the stunning Tlingit and Haida totem poles amidst hemlock and spruce trees on the scenic coastal trail. After, join your guide on a beautiful walk overlooking the Indian River. In the middle of the season, witness salmon spawning while your knowledgeable guide teaches you about the amazing life cycle of the salmon. After your guided walk along the Indian River, you’ll head south along Silver Bay to arrive at Fortress of the Bear, North America’s biggest bear habitat. The habitat is designed to be a natural setting for orphaned bear cubs. You’ll be able to observe the brown bears from as close as 25 feet (8m), getting a great view of the play and habits of these magnificent animals. 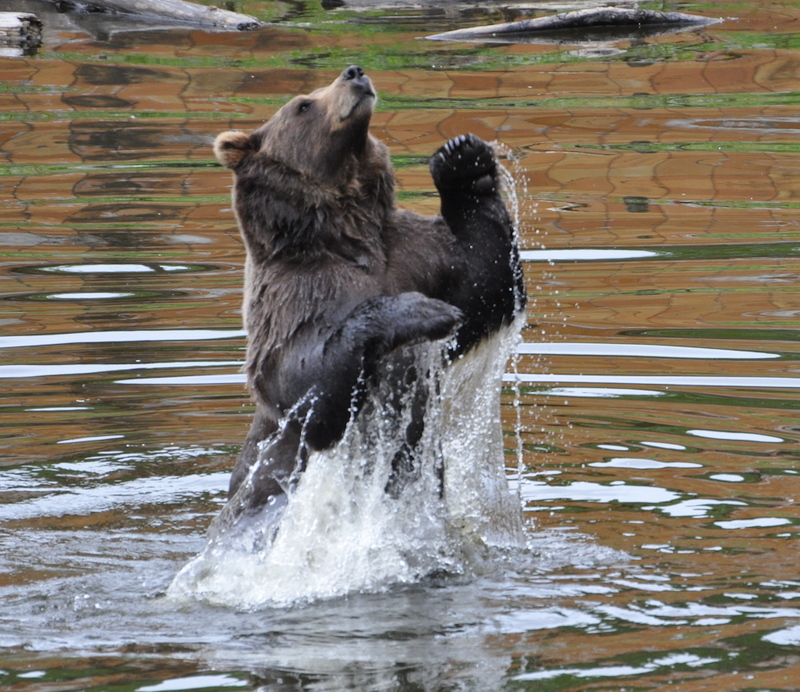 Experienced staff can answer any questions that you may have about the bears and their rehabilitation. Along the tour, your guide will point out many historical treasures like the Sitka Pioneer Home, Sheldon Jackson Museum, St Michael’s Cathedral, and the Sitka Sound Science Center. Keep an eye out for wildlife throughout your journey, and have your camera handy! After the tour of Sitka’s fascinating wildlife and historical highlights, you will end your tour back at the cruise ship dock in Sitka. Dress in layers and wear comfortable shoes as the weather in Sitka is always different. The van has a heater for your comfort, but you will want to get out and enjoy the fresh air. Adult pricing applies to all travelers. Please note: Wildlife sightings are likely but are not guaranteed. A small amount of walking is involved.